SEOUL, Jan. 7 (Yonhap) -- Carmakers sold more than 120,000 units of environment-friendly vehicles in South Korea last year, up 27 percent from a year earlier, industry data showed Monday. Sales by both domestic and foreign carmakers reached 123,387 eco-friendly vehicles for the whole of 2018, jumping from 97,435 units sold the year before, according to data from the Korea Automobile Importers and Distributors Association and the Korea Automobile Manufacturers Association. 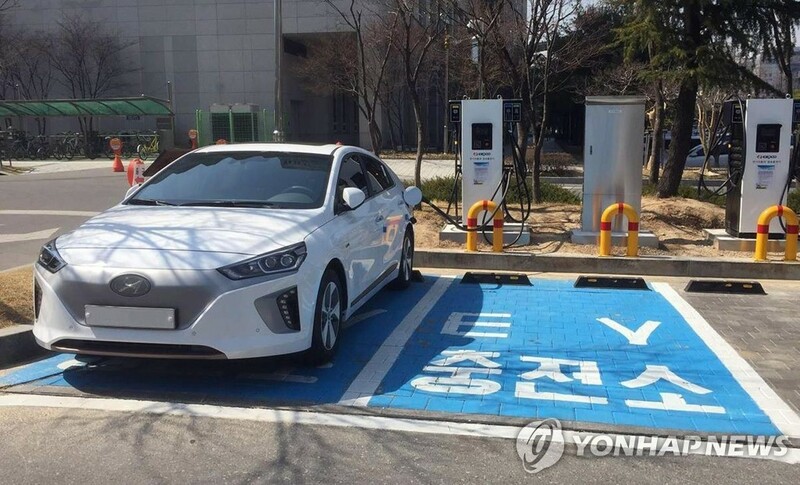 One in 5 eco-friendly vehicles in Korea last year were all-electric and hydrogen fuel cell electric models. The country's eco-friendly car sales exceeded 40,000 in 2015, 60,000 in 2016 and 90,000 in 2017, the data showed. The eco-friendly car market is expected to continue to grow this year on growing customer demand and the government's subsidies.